Increasing oil and gas production and exploration from the offshore fields and the rising development of shale drilling regions are expected to drive the demand for the offshore mooring market. 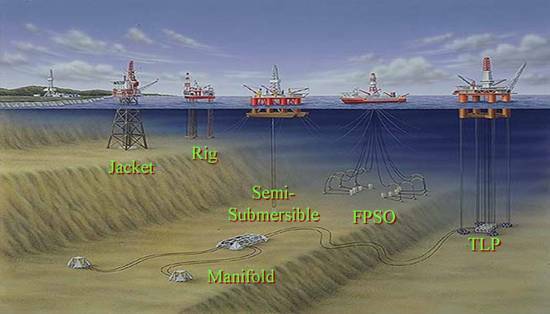 Innovation of new technologies for development of new systems in order to cater to the increasing complexity of offshore platforms along with maximum cost cutting is the major trend in the industry, a study from ReportLinker shows. The industry players are focusing on developing driverless latching systems in order to increase safety levels during operations. Spread systems were the largest product type while accounting for over 32% market revenue in 2016. These systems are heavily utilized in a wide range of applications such as mobile offshore drilling units (MODU) to the ships with catenary type being the major product category. Single buoy moors consist of a loading/floating substance anchored offshore, which serves as an anchorage point and an interconnection for tankers stocking or offloading oil or gas, or any other liquid products. The segment is anticipated to witness the fastest growth over the next eight years at a Compound Annual Growth Rate (CAGR) of 2.6% from 2016 to 2025. Tension leg platform (TLP) dominated the global offshore mooring systems industry and was valued at over USD 350.0 million in 2015. The drag embedment anchors (DEA) are anticipated to witness the highest growth, growing at a CAGR of over 2.6% from 2016 to 2025. North America market is projected to witness a steady growth rate over the forecast period and is estimated to generate revenue exceeding USD 320 million by 2025. The U.S. dominated the North America market with a market share of 81.4% in 2015, and anticipated to observe the fastest growth in the region over the forecast period. The offshore mooring demand for FPSO in the U.S. is projected to grow at a high CAGR of 1.9% over the forecast period. The Middle East is anticipated to emerge as the fastest growing regional market with a CAGR of 3.1% from 2016 to 2025, in spite of challenges faced in deep-water drilling worldwide. Key players including BP and Total are investing in the region and have become the leading stakeholders.